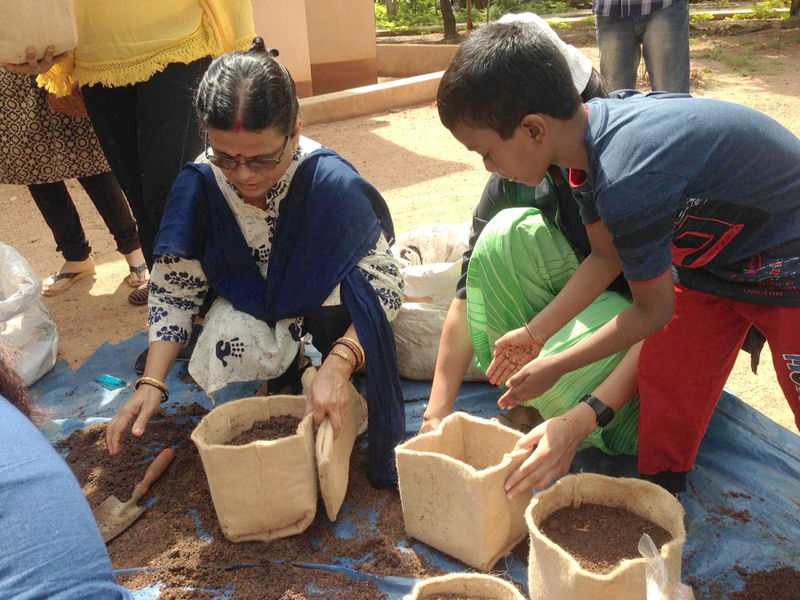 AuroKrishi organized its first training workshop on Urban Organic Garden at Sharanam center near Ousteri Lake in Puducherry on December 2, 2018. The aim of the workshop was to introduce participants to the concept of growing their own small-scale organic garden on rooftops, terraces, kitchens or in community spaces available around their homes. The half-day event from 9:30 am to 2:30 pm had 15 enthusiastic participants interested in learning about the ways of shifting to organic food in an urban setting. The day began with Gramonnati founder, Ved Prakash Sharma, talking about AuroKrishi and its various activities to those who had come to attend the workshop. The first session by Raja Ganesh aimed at explaining the basic concepts behind urban gardens and their various designs. 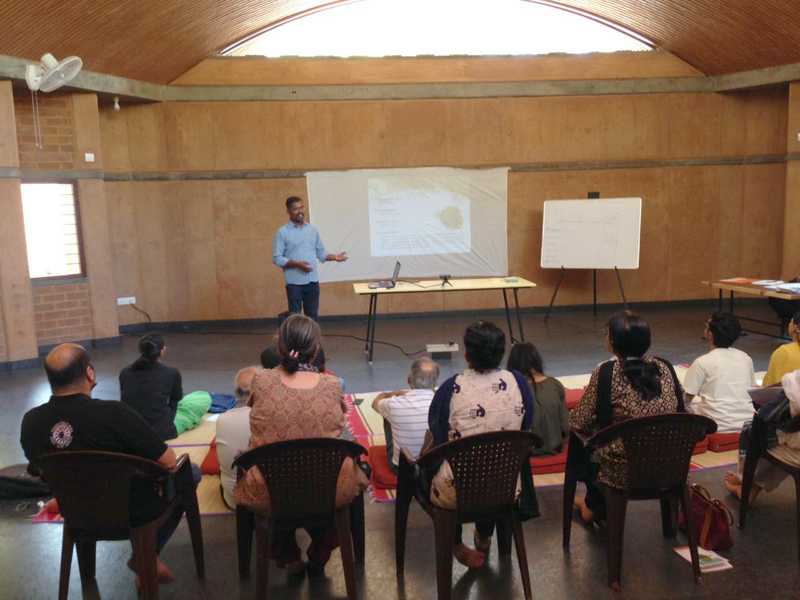 Next, our trainer Parthasarathy talked about suitable greens, vegetables, and fruits which can be successfully planted and maintained in any kind of an urban garden setting. Following the theoretical part of the workshop, the participants had a hands-on practice on how to plant their own seedlings. 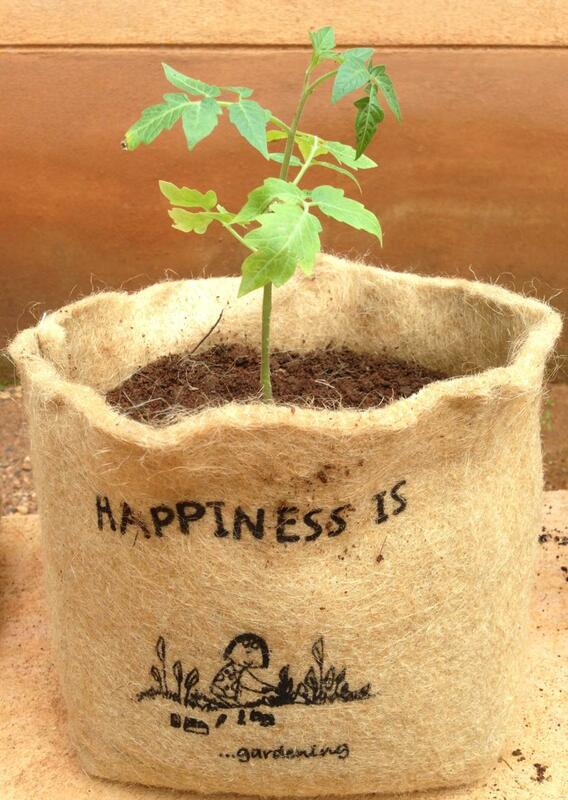 Our experts discussed in great details the methods to plant and maintain small seedlings in Aurokrishi’s organic jute bags which were given as complimentary gifts to each participant. In the penultimate session, there was a short introduction to herbs and herbal gardens conducted by Parvathy from Pichandikulam forest in Auroville. Parvathy spoke about how organic raw food and herbal recipes are important in maintaining the constitutional balance of the body. She also prepared for the participants a simple raw organic lunch – a mix of salads, raw vegetables, juices, and a smoothie. 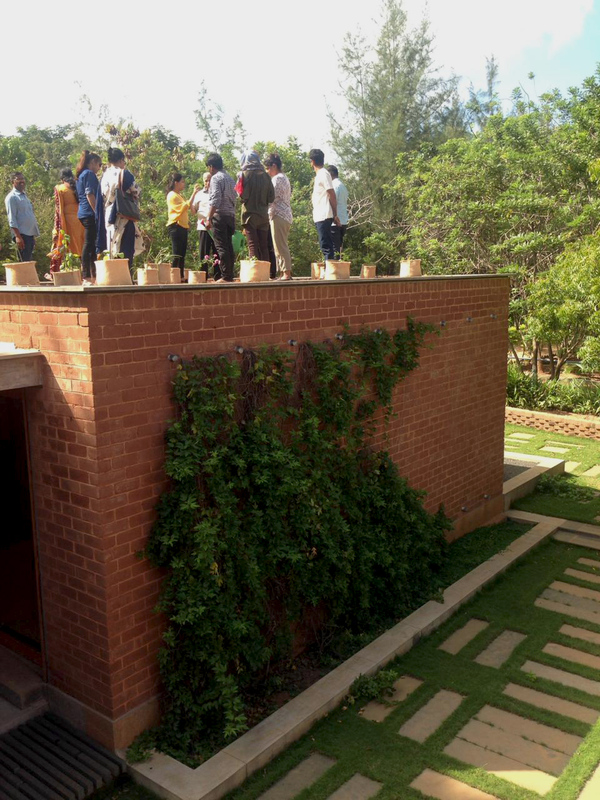 During the last session of the day, the participants visited the terrace garden and the backyard garden of the Sharanam complex with our trainer Manikandan. Before wrapping up, there was a Q&A session where our experts answered any questions the participants had about urban gardening. The day ended with all the participants leaving Sharanam satisfied; each carrying their first planted seedling. 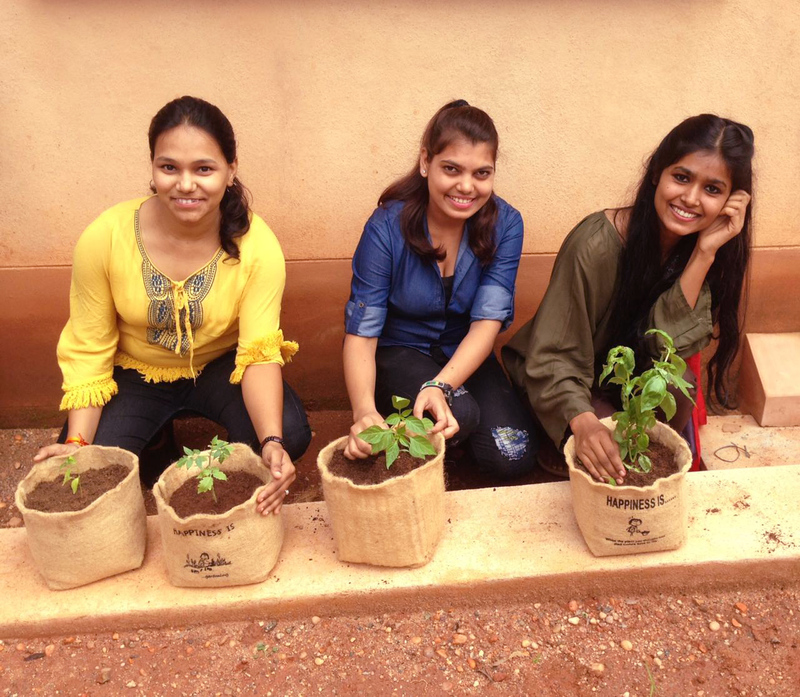 It was an educative and fulfilling workshop which gave a comprehensive introduction to the world of urban gardening and created an opportunity to experience the joy of working with the soil and nature. This event was the first of many such workshops that would be held each Sunday at the Sharanam facility.